With so much talk about bitcoin, observers can be forgiven for not knowing that the blockchain is a lot bigger than just bitcoin. In fact, bitcoin is just one of hundreds of “coins” and “tokens” issued and traded on blockchain platforms. Even blockchain itself is not homogenous. There are basic blockchain applications such as bitcoin, and newer innovations such as ethereum and ripple, which are more efficient than bitcoin, but still have serious limitations in terms of scalability and sustainability. Problems with blockchain (as described in more detail below) are the target of criticism by many experts from both a technical and monetary perspective. This article shows that the criticisms are not coming just from outsiders, but are coming from insiders themselves. The CEO of Ripple, and the co-founder of Ethereum both say that most “ICOs” issued on the blockchain are frauds. 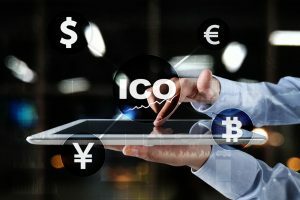 An ICO (initial coin offering) is an issuance of new coins or tokens for cash intended to be used for development of new blockchain applications. The token allows the buyer to have early access to the application or other benefits. The ICO coin can be held for future appreciation or traded for other tokens on crypto-currency exchanges. ICOs have been likened to IPOs (initial public offerings) that companies use to raise debt in public markets. But, there’s really no resemblance between ICOs and IPOs. The latter are heavily regulated with transparent disclosure and severe penalties for misrepresentations. ICOs are not subject to any rules at all. They’re a “trust me” market in which the basis for trust is non-existent. Any market like that immediately becomes a magnet for fraud as naïve buyers scoop up new tokens with a get-rich-quick mentality that will end in tears.